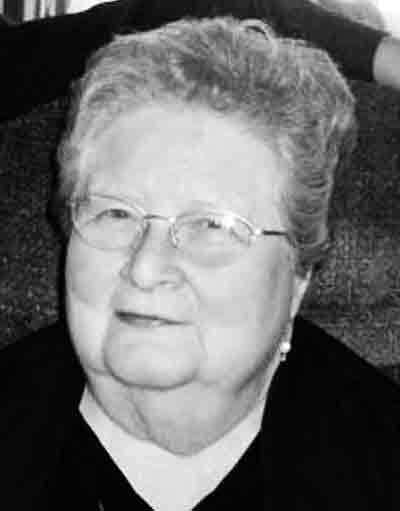 Janet (Stump) Sturm, 82, of Parkersburg, formerly of Powells Point, NC, departed this life July 3, 2018 at Wyngate Senior Living surrounded by her loving family. She was born November 9, 1935 in Stumptown, WV, the daughter of the late Victor and Ina (Fowler) Stump Fox. Janet was a graduate of Calhoun High School and Mountain State College. She was a bank teller for the Calhoun County Bank and a member of Powells Point Baptist Church. She is survived by two daughters, Scarlett (Richard) Mowrey of Powells Point, NC and Jackie (Ron) Butler of Princeton, WV; three grandchildren, Adam (Meghan) Butler, Colby Butler and Mark Mowrey; one great-granddaughter, Allison Butler and special friend, Lynzi Bailey and her late fiance Gary Campbell. In addition to her parents she was preceded in death by her husband, Bernard “Tom” Sturm and a grandson, Lucas Butler. A graveside service for Janet will be held 11:00 A.M. Saturday, July 7, 2018 at Powells Point Baptist Church Cemetery, 383 Caratoke Highway, Powells Point, NC. Lambert-Tatman Funeral Home and Cremation Services, Parkersburg, WV and Twiford Funeral Home, Elizabeth City, NC, is assisting the family with arrangements.